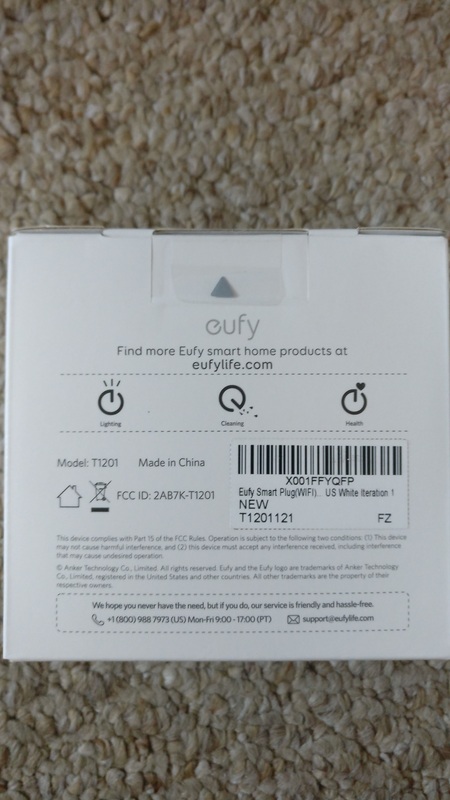 Just got delivery of my new Eufy Smart Plug. Photos show the box, item and screenshots of the app. LoL, me? Read a manual? If I need to read the manual then send the item back as its too complicated! 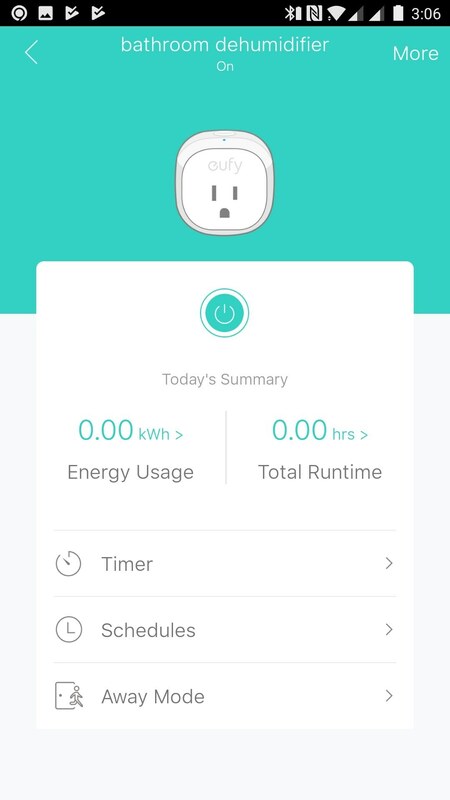 No, I installed the Eufyhome app on my phone, registered an account (its the same account for Eufyhome as Eufylife so I used my existing Eufylife account) and then added new device - Smart Plug. 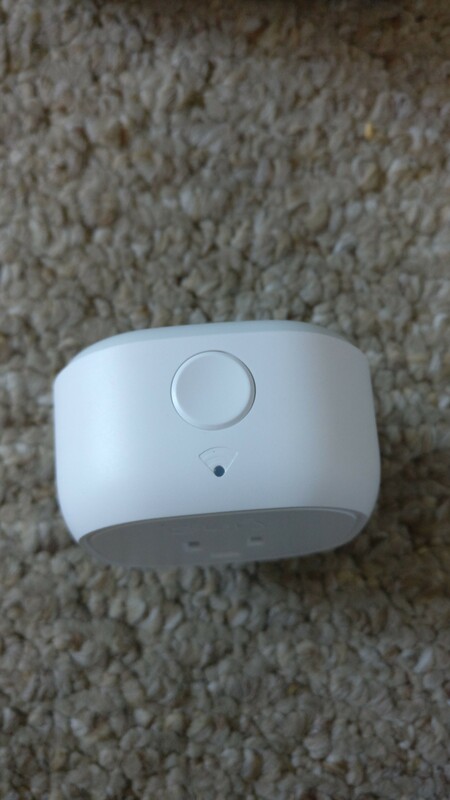 The plug was in a wall socket, flashing blue/amber light showed it was in pairing mode, selected the device, told it my Wifi router and password to use and I was set. Very easy, intuitive. (not reading the manual) I played with the button, simple press turns power on or off, press and hold resets it. Can name the device if you end up owning multiple. In this case we have an old dehumidifier who's native buttons to control are bust so using the Smart Plug to control turning it on/off. - "away mode" for random powering such as for lamps. 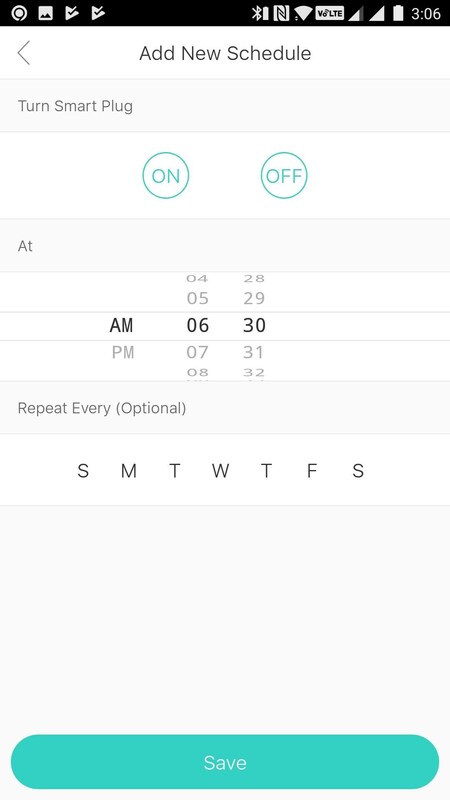 - programmer option to set schedule. 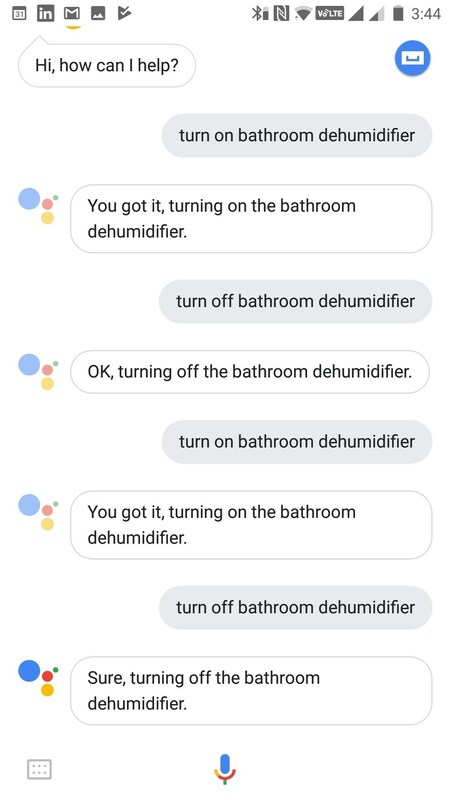 In this specific case we use the dehumidifier in a bathroom to warm the room up before we wake and keep it dry so will set it for say 30 mins before waking and set it to turn off say 1 hour after shower time. 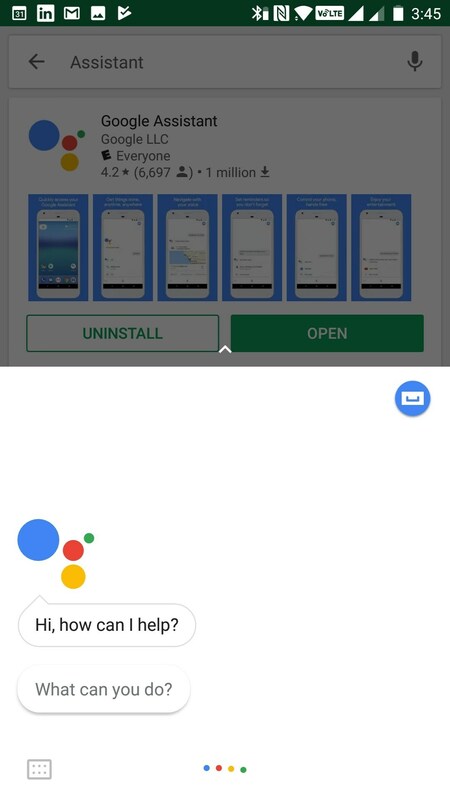 This is easy once you know to install Google Assistant app. 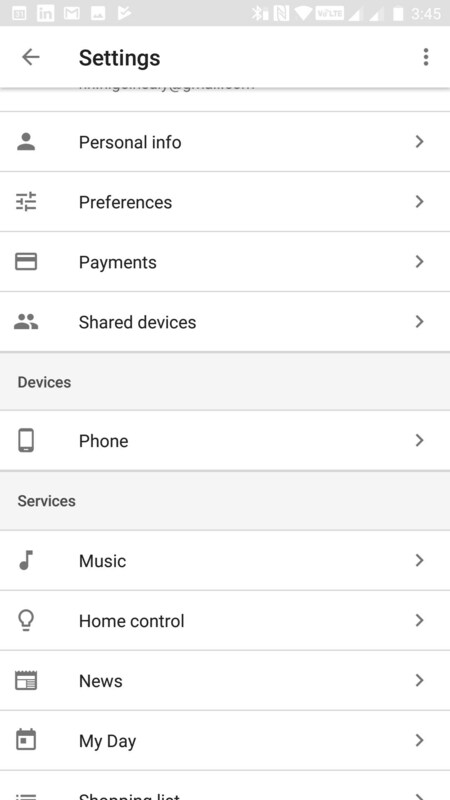 I had Google Assistant in my launcher already where I pressed my phone home button, and I had Google Home installed but not Google Assistant app. 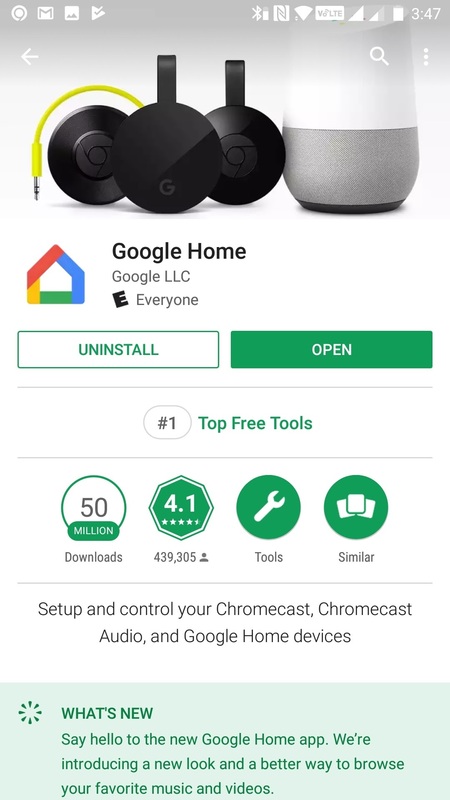 Once I figured out I need to install both Google Assistant app and the Google Home app then it all worked. 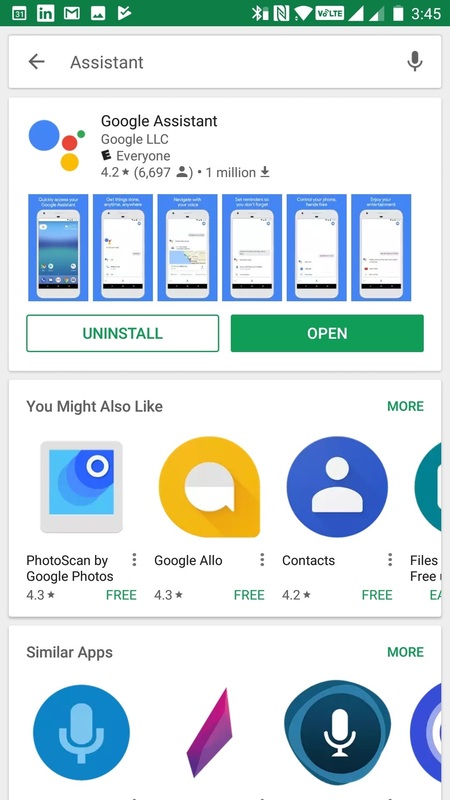 Ensure Google Assistance app is installed from Play Store. 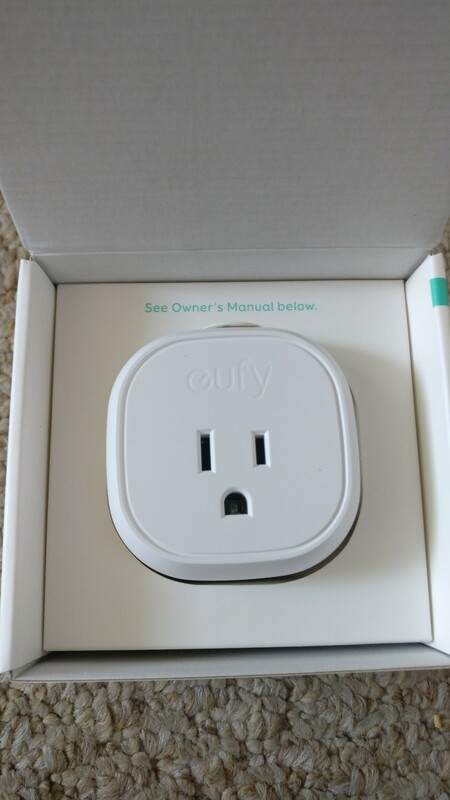 Then scroll down find "Home Control"
Now when do "ok Google" to my phone, it launches Google Assistant, which now knows Eufy, which knows about the Smart Plug and I gave this plug a unique appliance name in a unique room and then I can say words and turn the appliance on/off. It worked every time I tried it without any tutoring. 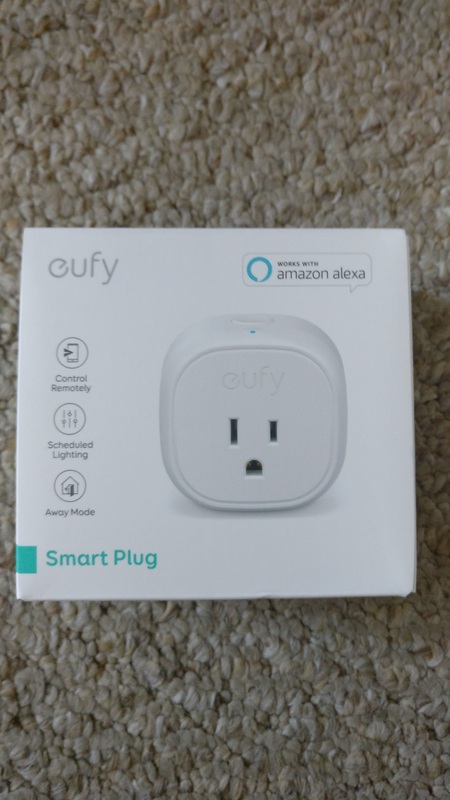 - will become expensive to make a smarter home, need a smart power strip and smart replacement wall sockets and plugs sold in 3 or 4 packs as per the Eufy plug in and stick-on lights currently sold. When the next discount code shows up I'll buy another. Great review as always, @nigelhealy! I see Alexa is supported! 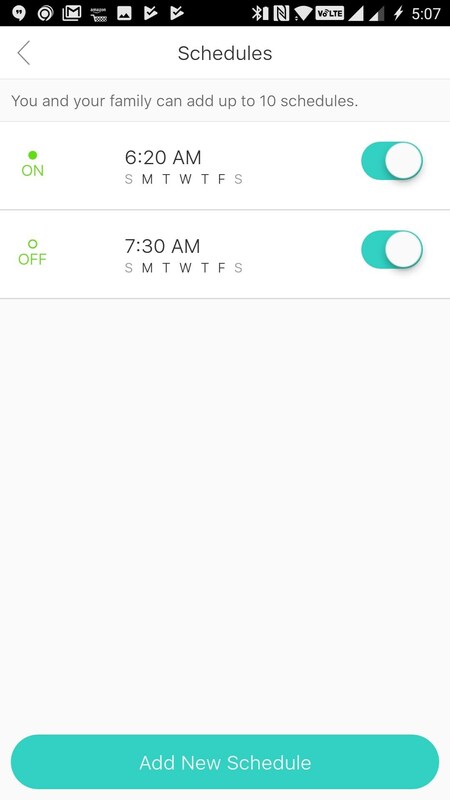 Does the app show any other integrations, such as SmartThings or HomeKit? I got it Google Assistant working, once I figured there is 3 apps involved it was intuitive. 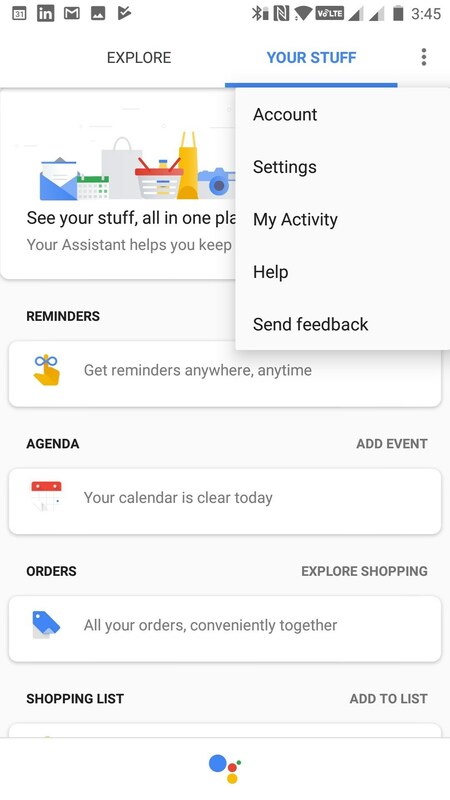 There are two types of Google Assistant! I edited the top posts with screenshots. @nigelhealy what could I use this for? what do you use it for? is any wall plugged device compatible? Yep, thanks for the review. Not all wall plugged devices are compatible. For example, my Anker Lumos A1 desk lamp was not compatible, whereas my Eufy Lumos E1 is. The Anker one just stayed off. 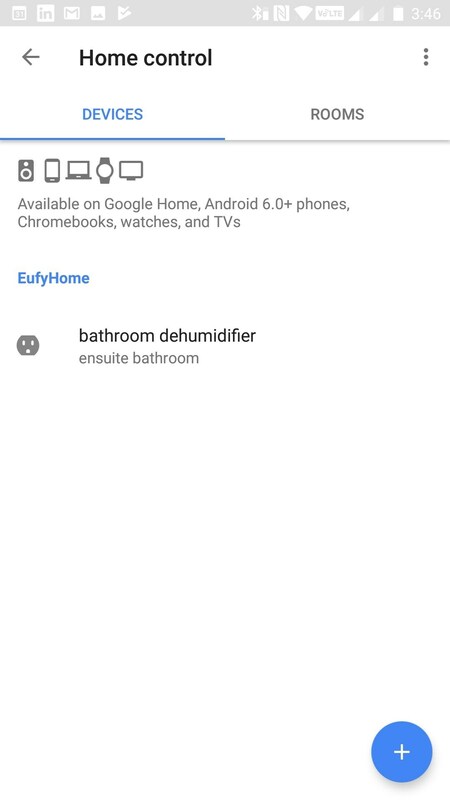 I have a dehumifier which is "Smart" with buttons which allowed to delay its turning on or delay turn it off, but the buttons bust so using a smart plug to do the same thing, I'll be turning it on before waking up to warm up the bathroom and turn off after shower time to keep the bathroom dry. I can set a repeating pattern. This is smarter than the dehumidifier could be as I could not set times only elapsed time so I had to program it at bedtime to turn on a certain hours later, this is much smarter. I currently cannot think of anything else in the house which would benefit from this. I think possibly our local electrical utility rate is lower at night, if so I might do something like turn on the clothes drier at night. But these "Smart" devices are mostly useless. e.g. our cooker is gas and it has a delayed turn on but it doesn't have automatic turn off (it needs you manually to turn it off) so that's obviously not safe to have it remotely controlled. The old type microwaves with a twist timer could have benefited from a smart plug to put something in and then later turn on. We have an electric heater which could be remotely turned on/off as it has a simple on/off rocker switch. Our kettle might be slightly benefiting from coming in just before we wake? On the whole I'm only seeing very few needs. I currently cannot think of anything else in the house which would benefit from this. Any portable fans? I use one for my fan on my nightstand. maybe for girls? incase the hairdryer of flat iron is left on you can turn it off with the phone, maybe even the tv? Yes I have a girl which tends to leave things on, but she doesn't operate regular hours so if I just remotely turn off she could be using the power, so I don't see a better alternative to what I do now is knock on the door if no answer go in and turn things off. If you imagine the "smart" alternative is horrible of placing a Wifi camera in her room to see remotely if not in and then turn power off. The smart version of knocking on a door to protect a girl's privacy is lacking. I could give her a smart plug and she can remotely turn off if she's forgot to? .... and then remotely control all power on/off type for the 6 ports connected. Bear in mind it controls the electrical supply, so if say the light was turned off at the light switch, this smart plug cannot help (it would enable/disable electricity to an off light) , it can only help if you keep the light on at its switch and just operate via the smart plug (button / phone). 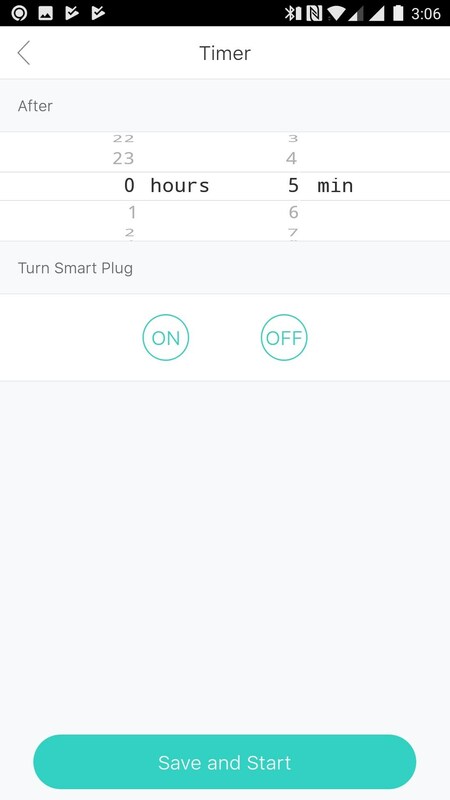 If you want to control a light then a smart bulb may be better? So I'd recommend it where it is the sole control, no other on/off like a light switch option. 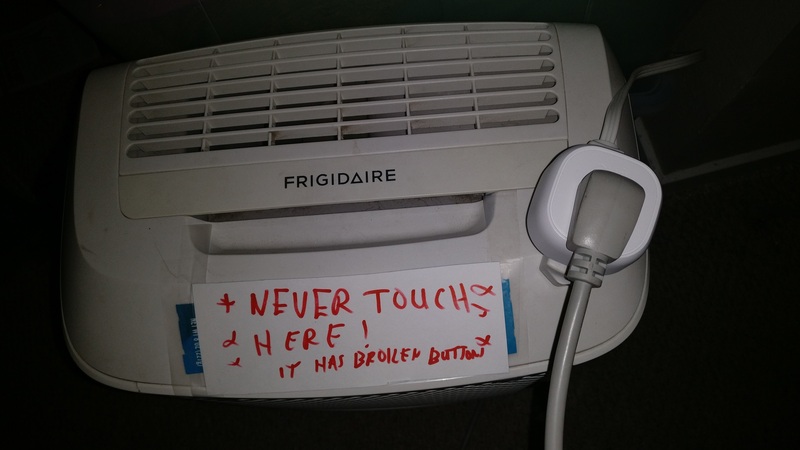 BTW this is my high-tech notice on the dehumidifier? Yup, I understand how the plug works to control power. And very high tech notice you have there. Great review. 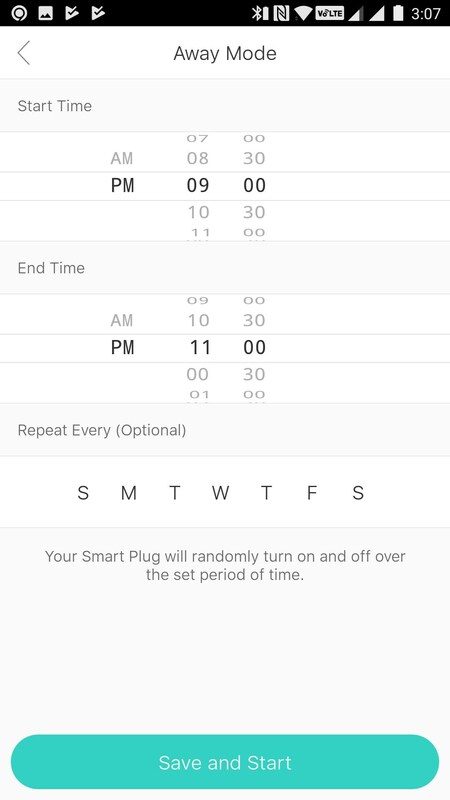 I’ve been looking around for smart plugs. I was thinking about waiting for Xiaomi stuff to be released to the international market... but that looks like it’ll take forever. Great review. I'm waiting on this product to be available with French plugs format. I would be very insterested in this product to be able to control my fan ! very nice sharing. I guess I'm going to buy one now.